Habitat: Desert, Upland. 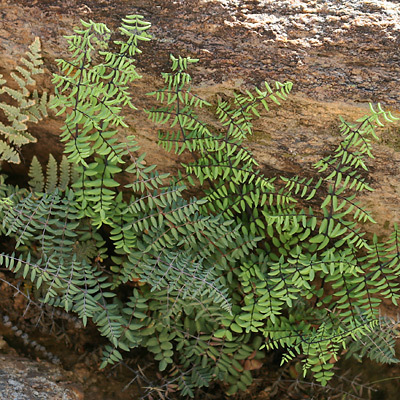 This fern grows in rocky areas, usually in the shade or crevice of a rock. 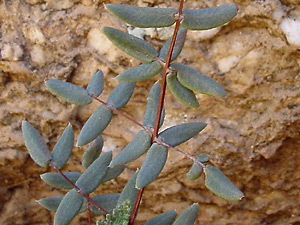 Description: The fronds are triangular in shape and bipinnately compound with varying shades of bluish green, narrowly oval, stiff, leathery leaflets on thin, wiry, dark brown petioles. The sterile fronds are shorter and less divided than the fertile fronds.